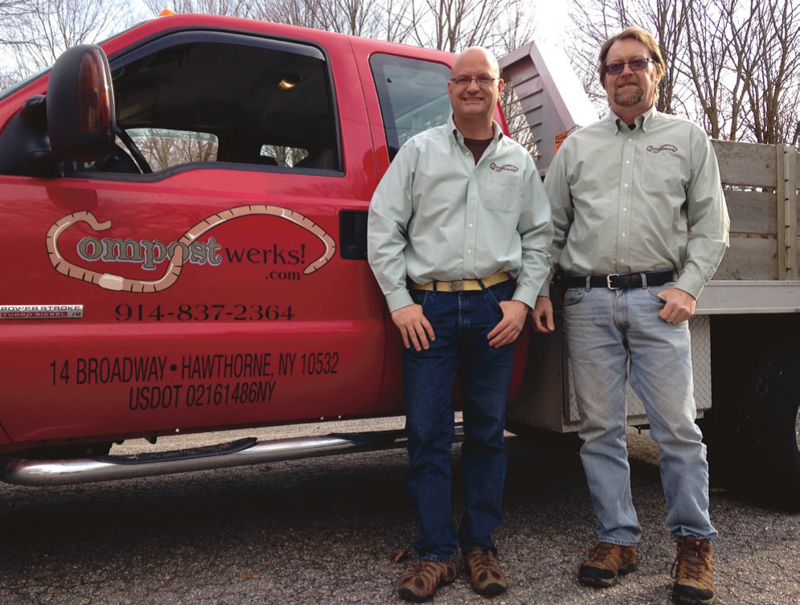 Compostwerks, LLC was founded in 2006 by Gregg Twehues and Peter Schmidt, Certified Soil Foodweb Advisor, to assist ecologically minded growers, transitioning green industry professionals, municipalities, colleges, institutions and composting operations. Compostwerks carries all the products, equipment and support you will need to greatly reduce or eliminate pesticides and petroleum based fertilizers in your living environment. Together, Peter and Gregg have 60 years of practical experience in the horticulture, composting, agriculture and organics industries. We have helped many businesses, colleges and institutions transition away from pesticides through organic nutrient management of the soil. Peter Schmidt, ISA Certified Arborist and Certified Soil Foodweb Advisor offers 31 years of direct industry experience in the horticulture field. He specializes in the utilization of compost and organic materials as they relate to soil remediation and plant care. Gregg Twehues brings 33 years of direct experience in the composting and agricultural sectors. Specializing in organic recycling operation start ups, Gregg has helped to advance the composting industry through his focus on quality, biology and feedstock management. Compostwerks has all the products, equipment and support you will need to greatly reduce or eliminate pesticides and petroleum based fertilizers in your living environment. When it comes to ecological land care and compost technology you will not find a more complete and experienced company. We have bundled a suite of knowledge, equipment and products to support you. You may also purchase online through this website. If you need assistance determining the best products for your organic land care needs, please call our expert sales staff. ourselves with the fastest shipping available, however cannot be held responsible for delays caused by back orders or shipping delays. All shipments are insured for their full value in the event that your order is damaged in transit. It is the buyers responsibility to report and document damage at the time of delivery directly to UPS or the motor carrier. Payments by business check, credit card (MasterCard, Visa, AMEX and Discover), PayPal and C.O.D. are accepted. Payments by C.O.D. are subject to additional processing fees. Shipments of all products and equipment are made when payment in full has been made. New York sales tax will be charged when required per local jurisdiction. Orders shipping to New York will be processed with sales tax included, unless proper tax exempt documents are provided in advance. days. All sales are final on equipment, custom items, discounted or discontinued items.